The Rev. 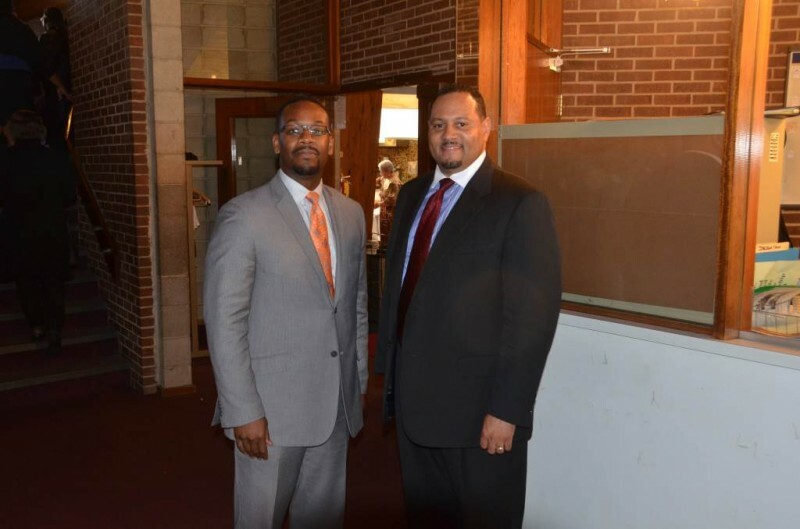 Dr. John R. Walton, Jr. (pictured left) and congregation at Calvary Baptist Church celebrated the 118th church anniversary of Calvary on Sunday, September 29, 2013 during morning worship service at 9:30 a.m. and again at 3:30 p.m. The theme for the church anniversary was “Giving to a Giving God.” The speaker for the morning service was Rev. Dr. Russell B. Williamson, Pastor of Zion Hill Missionary Baptist Church. The speaker for the afternoon service was Rev. Keith T. Evans (pictured right) Pastor of Greater Mt. Eagle Baptist Church in Racine, Wisconsin.